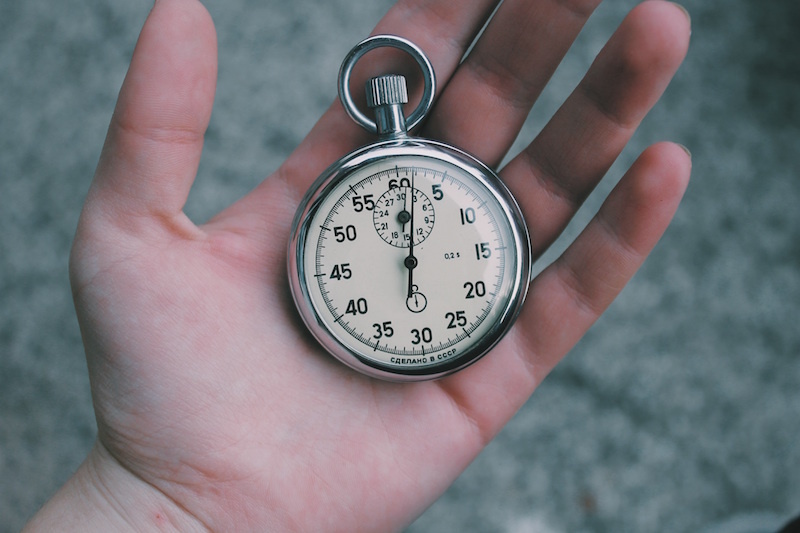 Preacher’s Toolkit: How Long Should My Sermons Be? Editors’ note: “Preacher’s Toolkit” is a monthly series that seeks to answer questions related to preaching. If you have a preaching-related question or issue you’d like for us to answer, please write us at [email protected]. We recently launched an Expository Preaching Project, for which TGC Council pastors will prepare free instructional resources on expository preaching in both video and print formats in six strategic languages. We’re prayerfully seeking to raise $150,000 to fund the project. To make a donation, please click here and select “Expository Preaching” from the designation list. That lament echoes through the Psalms, appears in Habakkuk, recurs in Revelation—and pervades the meandering minds of parishioners obliged to suffer the pastor’s preaching past the point of effectiveness. Expressions of pain and bewilderment is hardly the response a pastor hopes for when delivering his sermon after a week’s worth of preparation. Obviously (though perhaps not so to everyone), this rule of thumb means some preachers are able to preach longer than others, not because of mere natural gifting but because of faithfulness to biblical and practical techniques, which are not at all contradictory. In fact, they go hand in hand. Many preachers have on the one hand consoled themselves that their churches are filled with those who have itching ears, and on the other prided themselves that they don’t compromise the truth when really all they’ve done is preached God’s Word badly. While such situations certainly exist—and my heart goes out to any faithful preacher who lovingly and skillfully preaches the Word to those with cold, indifferent hearts—we shouldn’t be so quick to assume the problem lies exclusively in the pew with no responsibility in the pulpit. Lest I be misunderstood, I am not arguing for shorter sermons. If anything, I believe many churches need to devote more time to preaching, not less. The preaching of the Word is the central act of worship for the gathered church. The widespread biblical illiteracy among professed Christians will neither diminish because pastors shorten their exposition, nor change because they preach longer dull sermons. How can one preach better and still afford to preach longer? Faithful preachers who desire to also be interesting must learn four key moves to delivering the kind of sermons that help listeners remain engaged. 1. Fill your sermon with biblical substance. Perhaps it’s counterintuitive, but the way to keep the attention of disengaged church members is not to feed them a steady diet of spiritual cotton candy. It may be sweet to the taste, but it has no nutrition. Too much of it will make them sick. The Word of God should ultimately keep them interested. Don’t dumb it down; serve it up! Christ promised that if he is lifted up he will draw them to himself. So point to Christ in text and type, in redemption and relationship. Once you know the content of your text, think on the perceptual level in developing the sermon. Find a way to gain their interest at the beginning. Peter did it at Pentecost. Paul did it at the Areopagus. Ezekiel did it by building a model city and laying siege to it. Jesus did it in Galilee with eight promises of blessedness. Jonathan Edwards did it. Charles Spurgeon did it. Listen to the preachers you admire and notice how they adorn the gospel with thought-provoking and engaging delivery. 3. Weave personal application into biblical explanation. Peter’s sermon in Acts 2 drove his audience to ask, What shall we do? Explanation without application leads to frustration. Content without conviction breeds boredom. The inherent power of the Word and the Spirit demand response, repentance, and renewal. Without that, your sermon may be a mere Bible trivia game. 4. Develop audience awareness, always discerning how well they are listening. Respond to your congregation’s restlessness with energy, focus, and excitement about the text. Is your voice lulling them to sleep? Change your pitch, pace, and volume. Let the Word that has saturated you in your study overflow to them in the pew. You may preach as one who knows the Word, but do you preach as one who loves it? They’ll listen better—and sit longer. That sermon is too long which the people feel to be wearisome; and that sermon, even if it be a very long one, is none too long if the people still desire it to be continued. Amen. May God give us the wisdom and humility to go and do likewise. ​Hershael York is the dean of the school of theology and professor of Christian preaching at The Southern Baptist Theological Seminary. He’s also pastor of the Buck Run Baptist Church in Frankfort, Kentucky.